Last week, North Carolina Governor Pat McCrory signed into law a draconian bill that repealed every local LGBT anti-discrimination law and requires people to use the bathroom that corresponds with the biological gender written on their birth certificate. Obviously, this has prompted massive backlash. In a rare moment of synergy, Gov. Andrew Cuomo and New York City mayor Bill de Blasio have both issued bans on nonessential government travel to North Carolina in protest of the new fast-tracked law, which was introduced last week in the North Carolina House one hour before it was up for a vote, before many lawmakers had even read it. In 2015, Cuomo instituted a similar ban on nonessential state travel to Indiana following the passing of SB 101, a “religious freedom” bill. 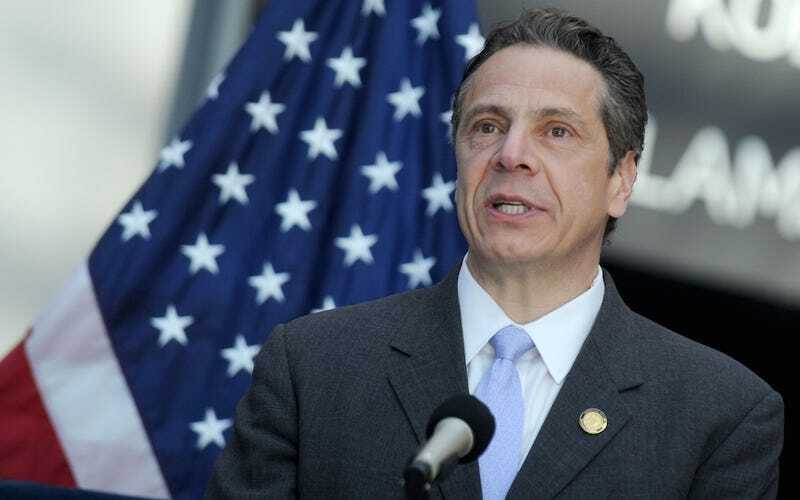 Following an amendment to the law that prevented it from being used to discriminate against members of the LGBT community, Cuomo reversed the travel ban. In addition to recent lawsuits brought against state officials by the ACLU and various LGBT groups, the mayors of San Francisco and Seattle have also enacted a ban on non-essential state travel to North Carolina. The Charlotte Observer reports that the NBA has threatened to pull next year’s All Star game out of Charlotte; companies like American Airlines, Facebook and Paypal have also come out publicly against the law.